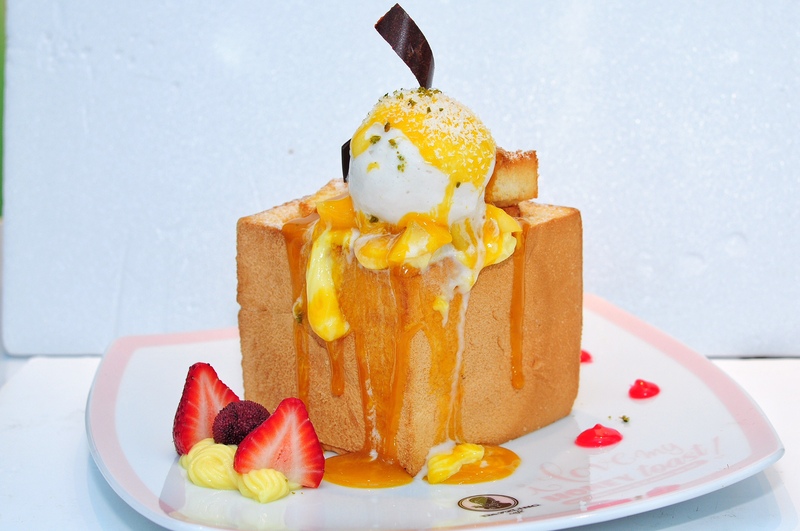 When we first had our first dose of Shibuya Toast in Bangkok’s After You Café, we started our hunt for it in Singapore. 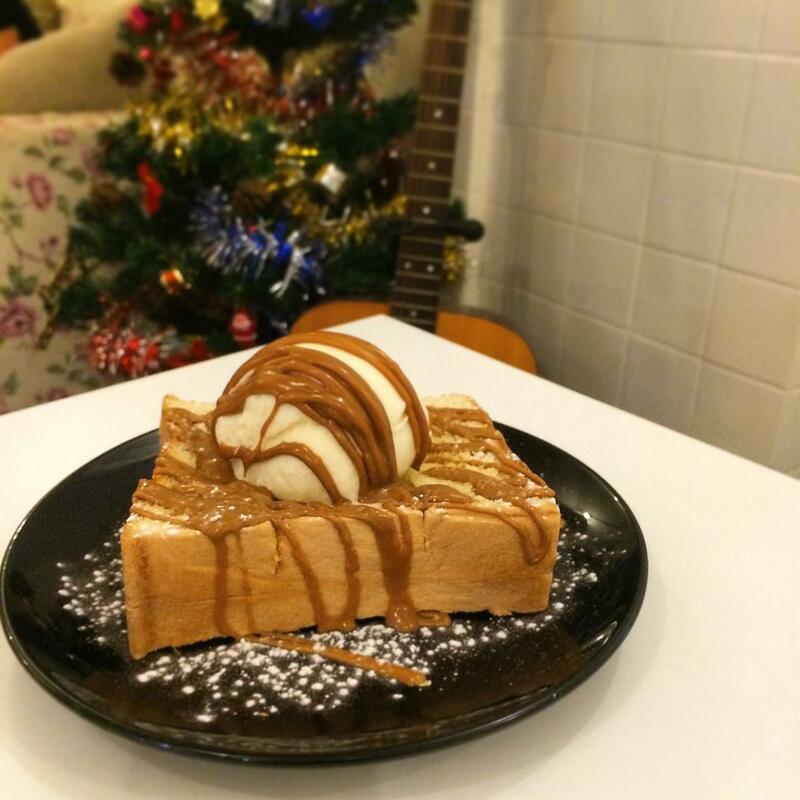 After all, Singaporeans love desserts and the combination of cold ice cream on top of warm thick toast was just so comforting. 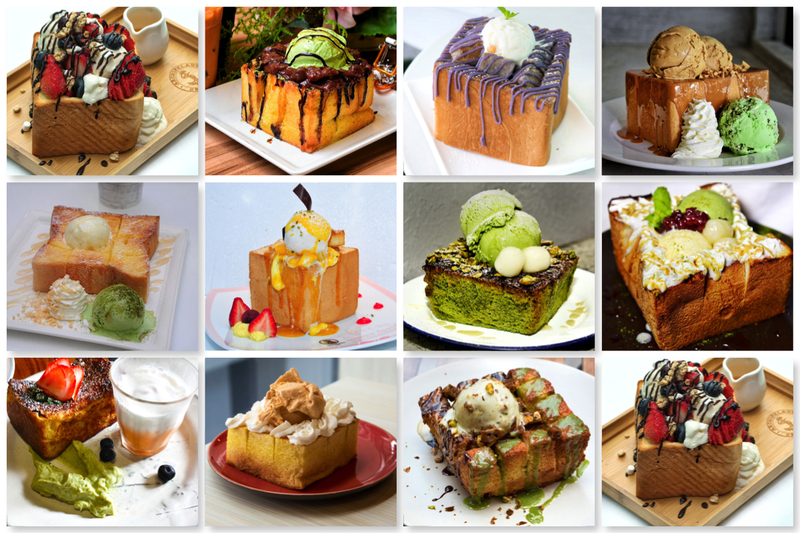 It took us some time to try out the best Shibuya toasts around in Singapore just because we loved desserts too! And thinking about the calories…. Eat first, think later. 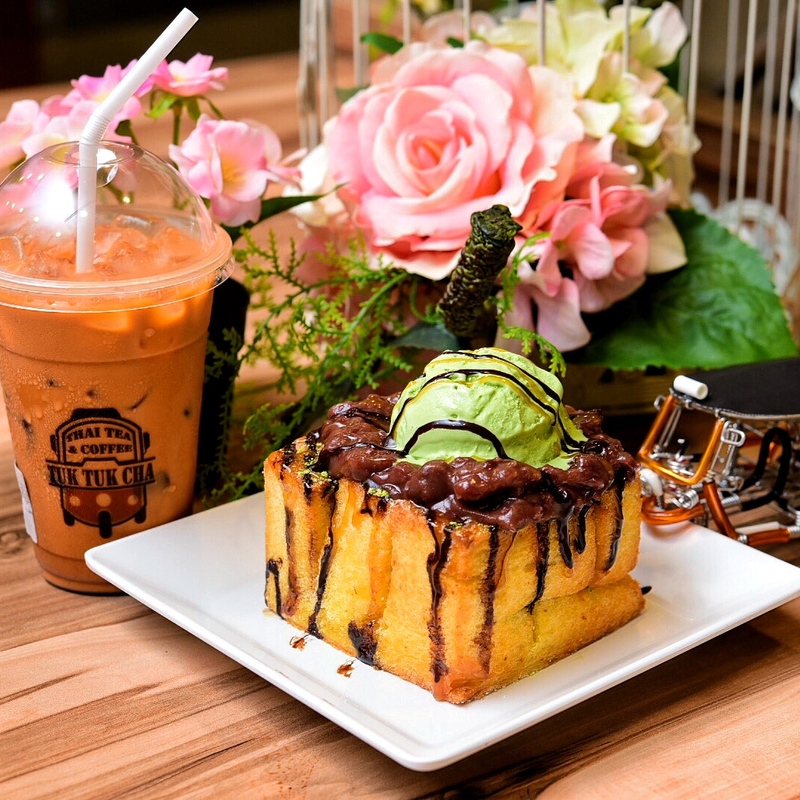 From the folks behind Bedok Point Thai Boat Noodle comes a Tuk Tuk car selling Thai Ice Tea and Shibuya toast. Crispy golden brown toast with buttery moist interior. Toppings were generous and each toast cost $10.80. From the folks behind Gin Khao at East Coast Park comes their newest venture in town this September. 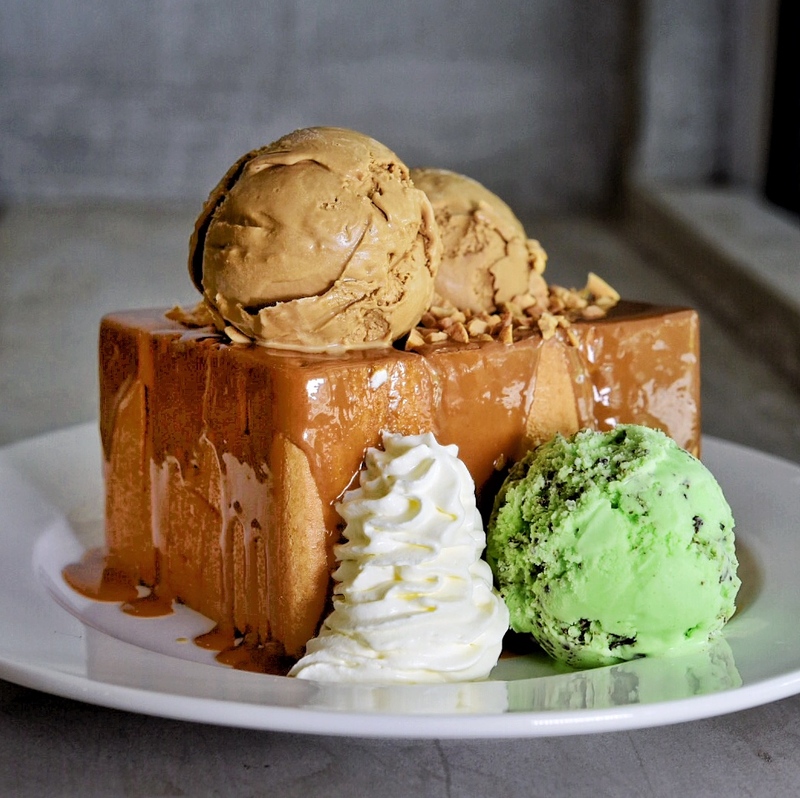 Serving Thai fusion food and a selection of Shibuya Toasts that named after the famous Bangkok’s After You, each After You Toast costs $8.80. 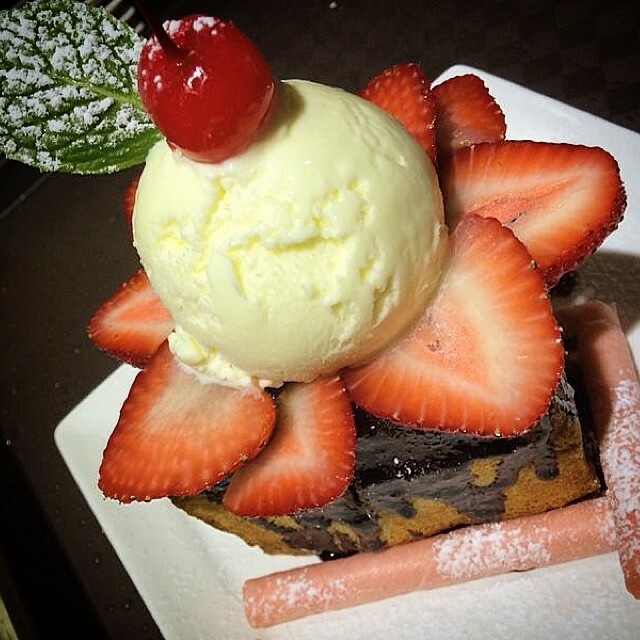 Interesting flavours include Green Curry, Sticky Rice and Watermelon Sorbet. 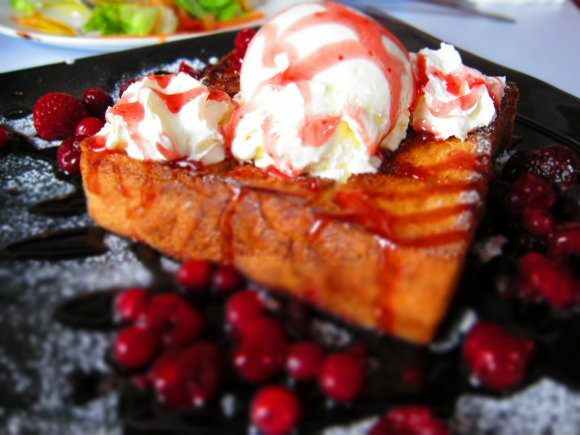 Golden Brown Crispy toast and really generous amount of butter, it felt light and perfect for a after-meal dessert. Aroi Mak Mak! The Stateland boys made a name out of their Red Velvet waffles when they first started out. 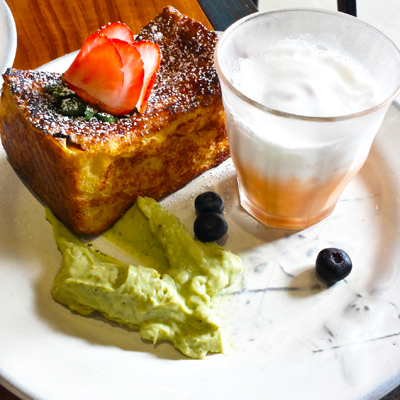 Their current Shibuya Toasts come in Black Charcoal ($14.90), Matcha ($14.90) and their normal toast. The interior was more chewy due to malt sugar but we loved the unique texture even though it could be a little heavy halfway through. 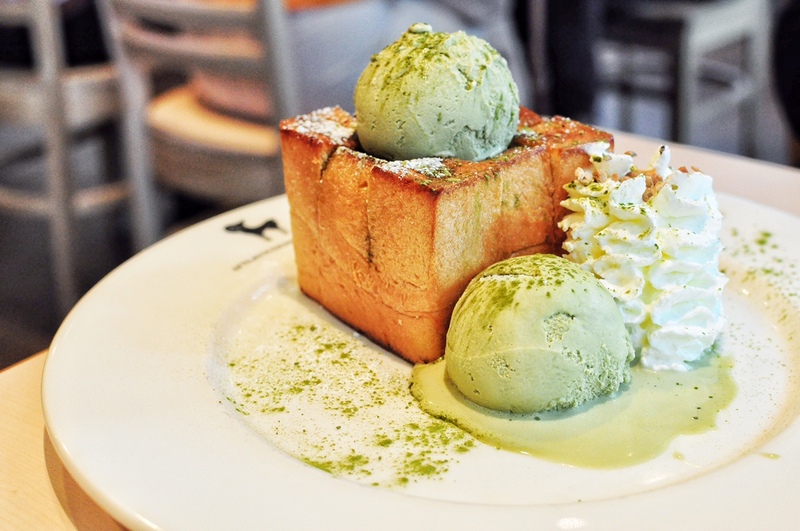 Matcha with Azuki Honey Toast ($19.90) and even uniquely Singaporean Mango and Coconut Gelato Honey Toast ($18.90). So chio, so bling, so dazzling that people flocked there to take a #selfie with it. Uniquely pretty, but nothing special, the exterior crust was tough and could not be eaten. Wah! 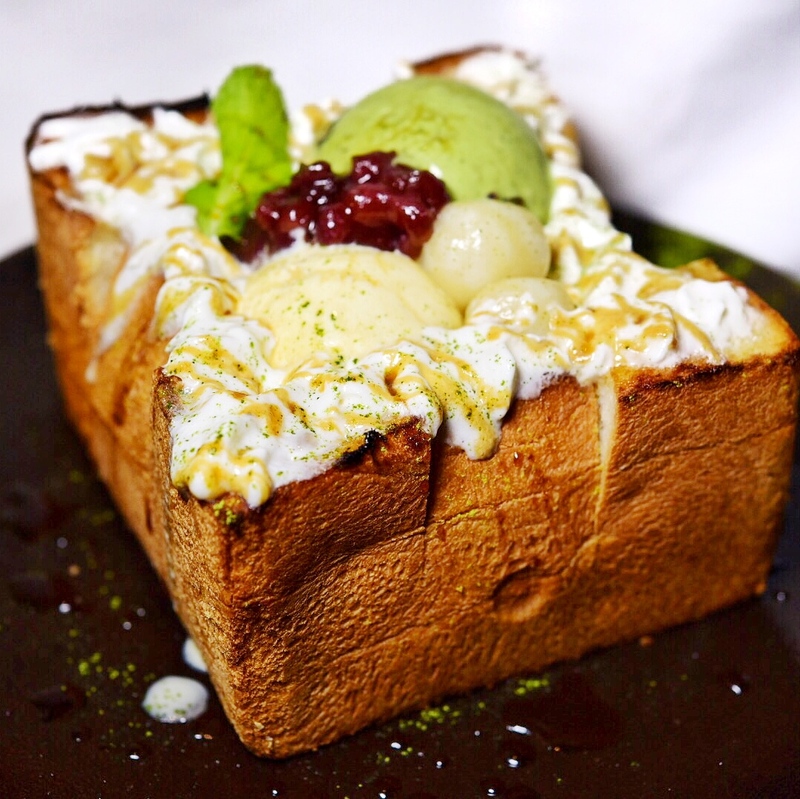 Watanabe’s own version of Japanese Matcha and Ogura Honey Toast ($16.80) came with 2 scoops of matcha and milk ice cream. The interior portion was soft and fluffy but the edges were a little burnt. Some consistency issue? The one always with long queue during lunch hours! Men and women in business wear, braving the hot sun, just to get a cup cold thai iced tea. 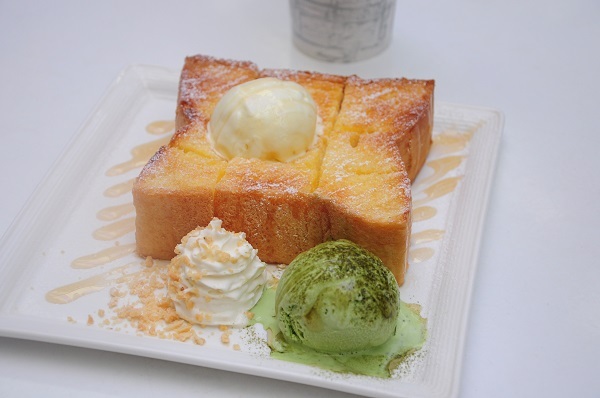 Their Shibuya Toast is thinner, but crispy and buttery. Won’t feel too jelak after lunch at nearby food centres. Finally something in the east! The Far East (Not the shopping centre though). 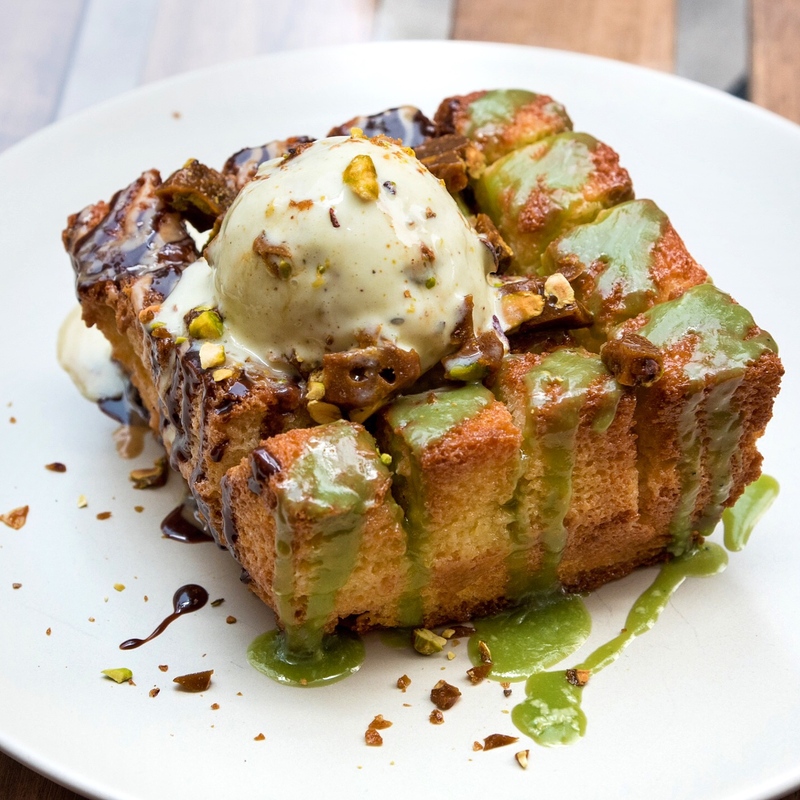 Melt’s toast were available at $8.80 with one scoop of ice cream and caramelised pistachio crumbs on the top layer. Crispy at the top with a bit of crunch. Finally something in the west! At a bird-don’t-lay-eggs site beside Pulau NTU! Archipelago which means a group of islands, would hint that you need to travel far to get to the deserted island. 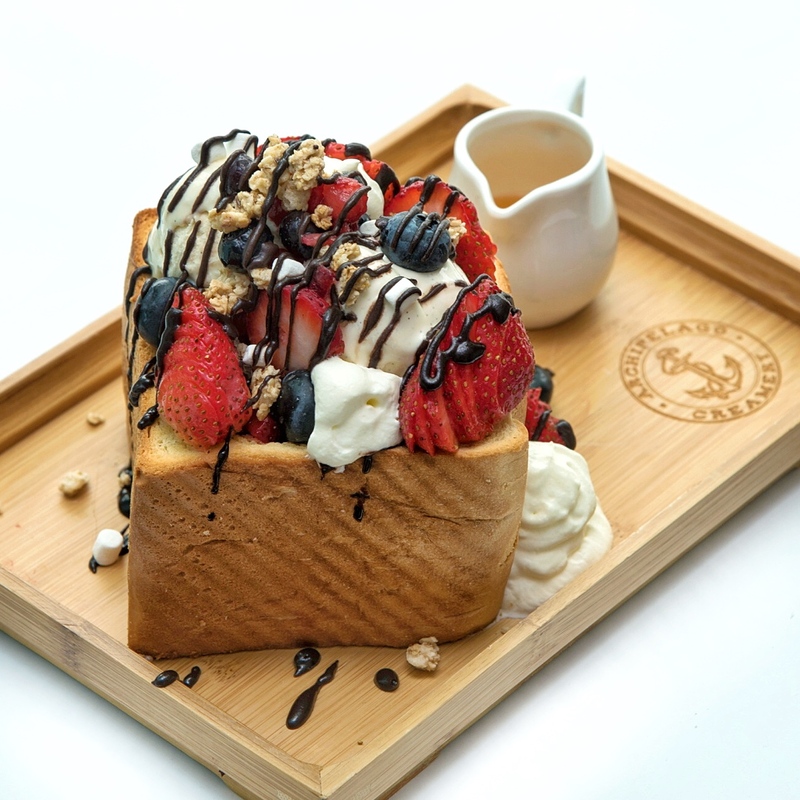 The Strawberry and Chocolate Shibuya Toast ($14.80) would probably satisfy all the sweet cravings with a generous amount of toppings on the golden brown crispy toast. Every flavour there is a mini project as their name implies. Interesting flavours include White Truffle, Parme Ham which goes well with the thick 3-inch toast. Instagram-worthy toast segmented into various small portions. 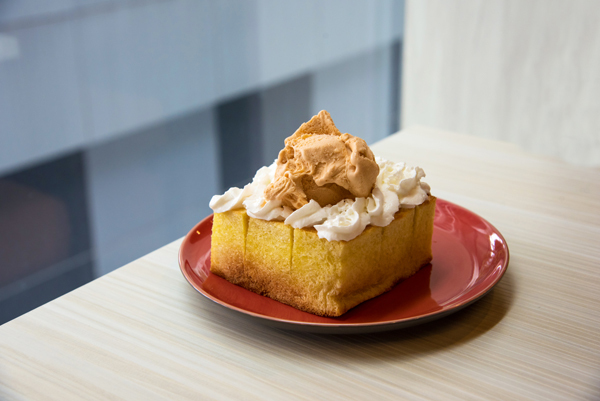 Place chio, barista chio, shibuya toast. Good for feasting for the eyes and stomach. 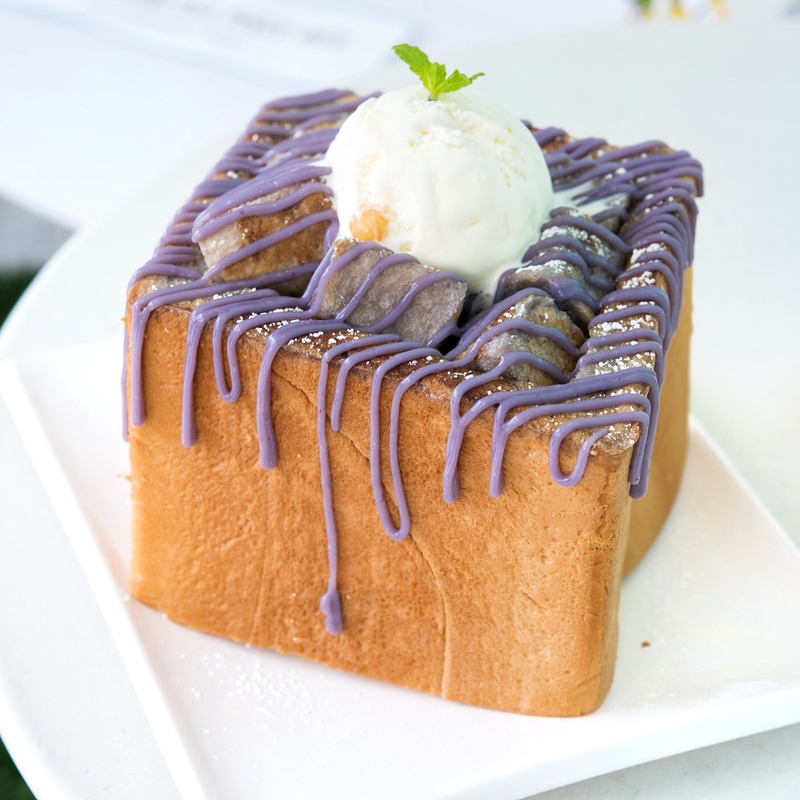 Taro drizzled on toast were pretty mild and bland. Not crispy golden borwn type, but tasted like taro sauce splattered on my daily morning bread.